The Global Flight Management System market accounted for $ 5.98 Billion in 2014 and it is expected to reach $10.6 Billion by 2022 growing at a CAGR of 7.42% . The introduction of new aircraft will facilitate airlines to reinforce their existing competitive strategies and may allow them to develop capabilities that enable new ways to grow in the market. The delivery of upcoming aircraft such as A320neo, and C919, B737max, B787-9, drives the market of technically advanced flight management systems. The growing demand for performance-based navigation, which includes preparing user-defined flight plans and efficient fuel management during the flight are important functions of FMS, which play a fair role in increasing its demand for the Wide Body Aircraft (WBA). The demand for WBA is rising significantly across the globe due to a rise in passenger traffic. The escalating connectivity between the main geographical locations of growing regions and the most developed urban regions has led to a boost in the demand for fuel efficient aircraft in order to reduce the travelling costs. 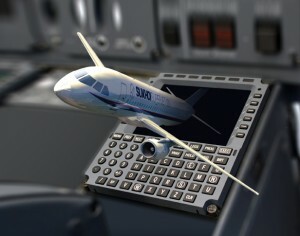 The Flight Management System Market is segmented by Cockpit Architecture i.e., Very Large Aircraft(VLA), Narrow Body Aircraft(NBA), Wide Body Aircraft(WBA), Regional Transport Aircraft(RTA) and by hardware it is segmented into Visual Display Unit (VDU), Flight Management Computer (FMC), Control Display Unit (CDU) and by Maintenance it is classified into Line-Fit Market and Retro-Fit Market. The Key players in Flight Management System(FMS) Market are Honeywell International Inc, Thales Group, General Electric, Esterline Technologies Corporation, Rockwell Collins, Universal Avionics and Jeppesen Inc.